Plot Synopsis: As the fanged, furious furballs viciously invade in L.A. apartment building and sink their teeth into the low-rent tenants — Clifford (JOHN CALVIN), daughter Annie (AIMEE BROOKS), son Johnny (CHRISTIAN/JOSEPH CALVIN) amongst others including the greedy landlord (BILL HUNT) and his stepson, Josh (LEONARDO DICAPRIO) — as they battle to beat back the conniving critters and save the planet. It won’t be an easy job, but it’s up to them to save the human race and destroy the terrifying alien hedgehogs once and for all. 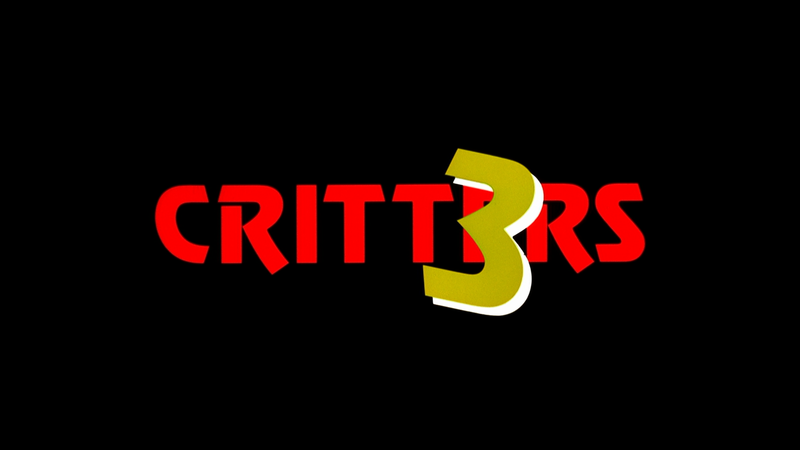 Quick Hit Review: Critters 3 is a movie that probably is better known for being Leonardo DiCaprio’s feature film debut more than anything else. I kind of enjoyed the more confined environment over the infestation of a small town, but the story in of itself isn’t all that interesting and characters not very memorable either, outside of the return of Don Opps as bounty hunter Charlie. Audio Commentary with Producer Barry Opper and Actor Don Opper. If you enjoyed their track on Critters, this one was amiable enough as well giving their insights into the tight production. You Are What They Eat: The Making of Critters 3 (26:27) might be far shorter versus the other two, still well done and features many of the same interviewees, Producer Barry Opper, Actors Don Opper and Terrence Mann, Director of Photography Thomas J. Callaway and Critters Designers the Chiodo Brothers as well as David J. Schow. DiCaprio is briefly talked about, mainly that he has pretty much disowned the movie. A Trailer (1:39), a Promo (1:46) and Still Gallery (2:16) are also available. 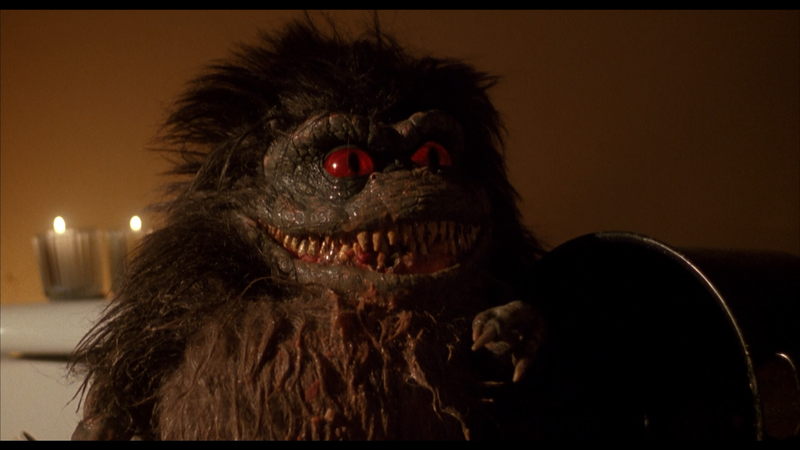 Unlike the first two movies, Critters 3 did not undergo a 2K restoration, but even so, it’s a respectable enough transfer. The 1.85 widescreen picture has been given a 1080p high-definition transfer and still looks pretty good. Detail is decent, especially on close-up shots, and black levels are generally stark but still with the ability to see what is going on in the scene. On the (slight) downside, there is some dust marks here and there, but nothing overly distracting. The included DTS-HD Master Audio Stereo track is perfectly satisfactory providing for clear dialogue via the two channels and some okay depth, such as when characters are crawling through an elevator shaft or into the attick/roof. The critters themselves or giggly as ever with some actual chatter between them. 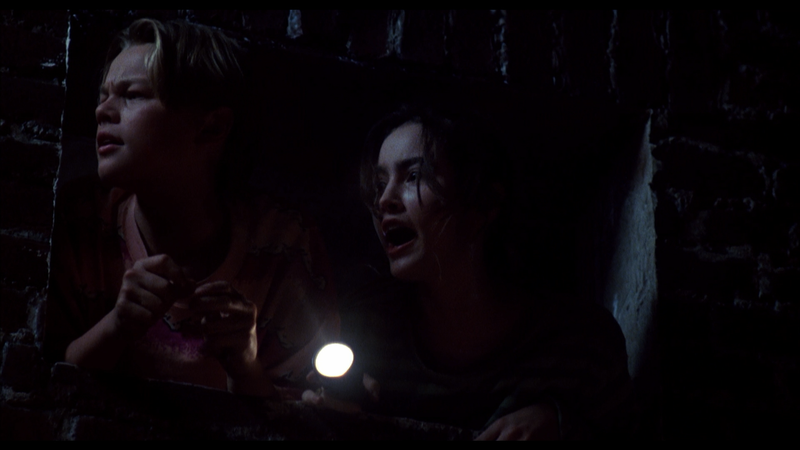 Overall, Critters 3 is a step down from the previous installments but still fun, albeit more seeing Leonardo DiCaprio before he made it internationally huge some years later with Titanic. The rest of the cast were fine and the Critter designs were still impressive. The Blu-ray release offers up good video and audio transfers and although the features weren’t as in-depth, the 25-minute featurette is still well worth watching.